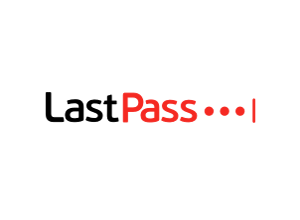 LastPass is a very useful tool to keep your passwords secure without needing to remember all of them. App for major OS & Web access. You don´t need to remember any pass with the browser extension if you are logued in it. It allow sincronization between all of browser and devices. The ease of use and smooth operation of the extension. As every app for pass, the security of the cloud. Work. I can´t have all of the passwords that I use in different places and with tool I have all joined. 1password and similar: Keepass, but this last works over a hard disk. I don´t recomended this last one because I have a very very horrible experience with it. Somebody hacks my database and I almost lost all of my passwords work. So many time. I can´t calculate how many time I would use in search or learn every password that I use everyday. Also, I can use more secure passwords. Yes, very easy and intuitive. It is essential for a productive work. Tool “slogan”: “I have to remember only the master password to keep all personal passwords and working”. Please add your comment sharing more about why you would recommend this tool or not and how could it be better? Would you recommend this tool to a friend?